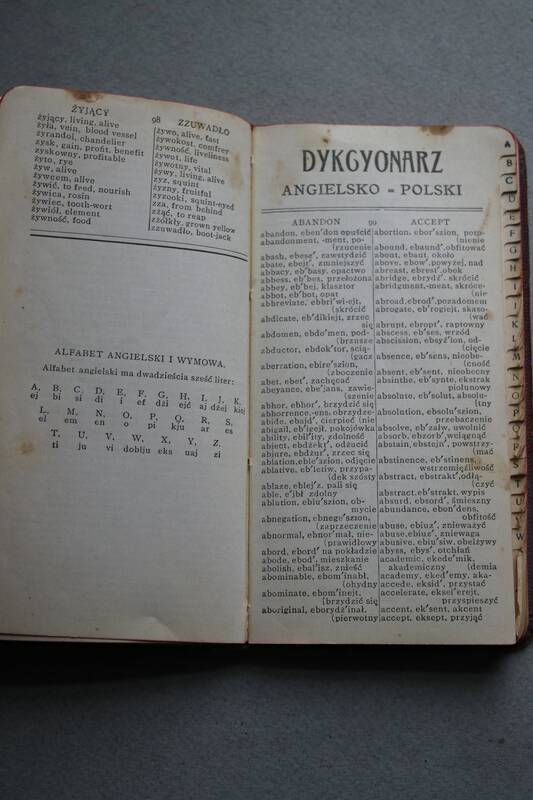 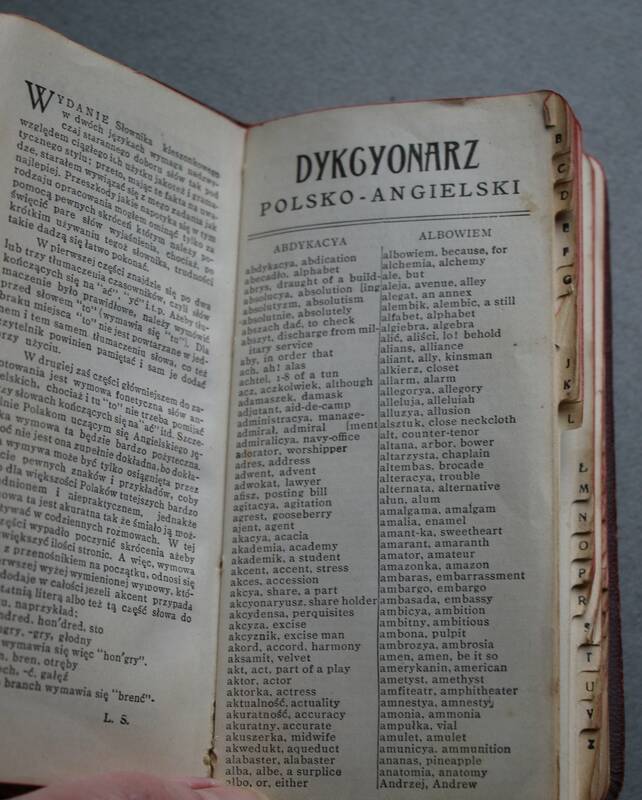 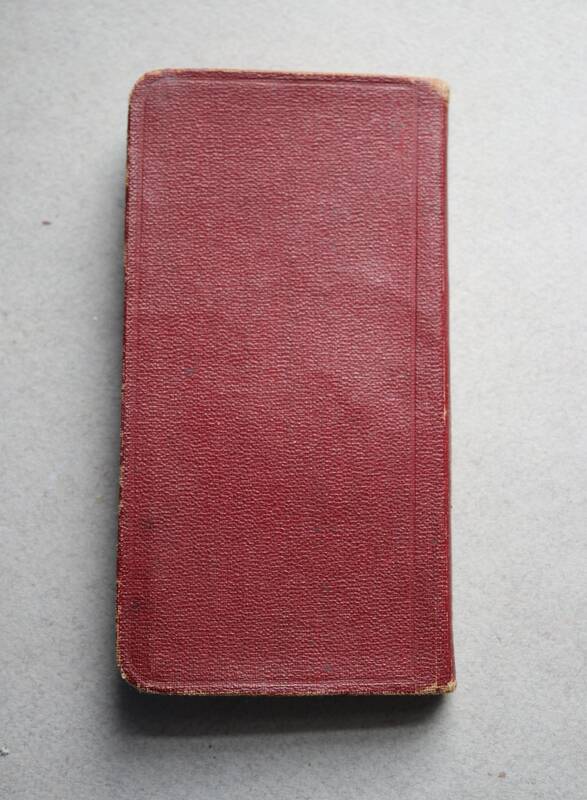 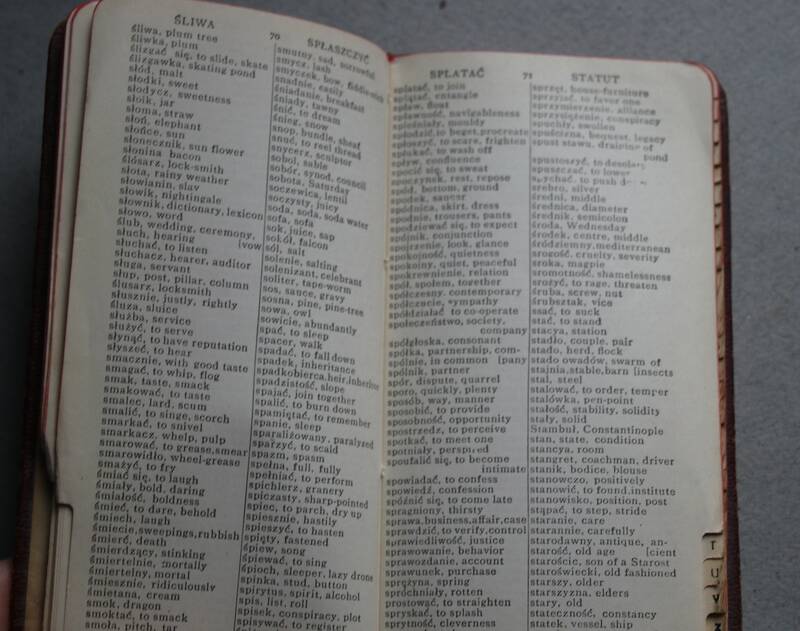 This antique Polish-English/English-Polish pocket dictionary was published in Chicago. 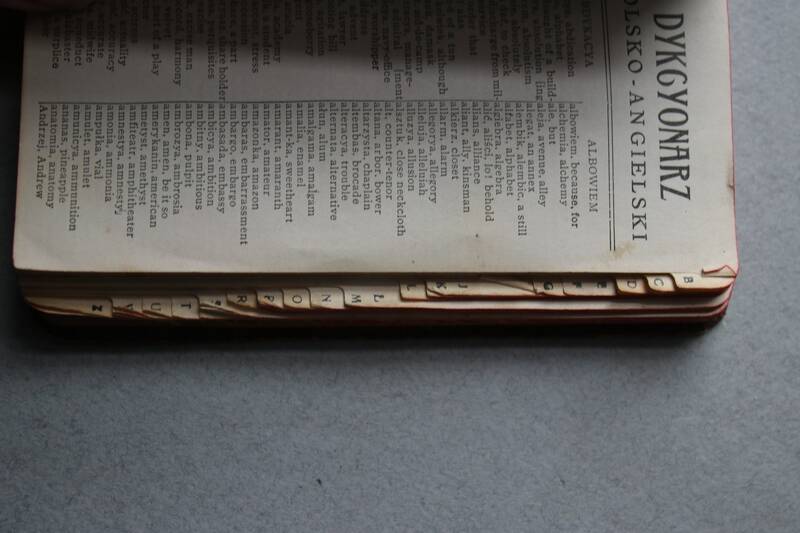 The front and back covers as well as the spine have wear and scratching. 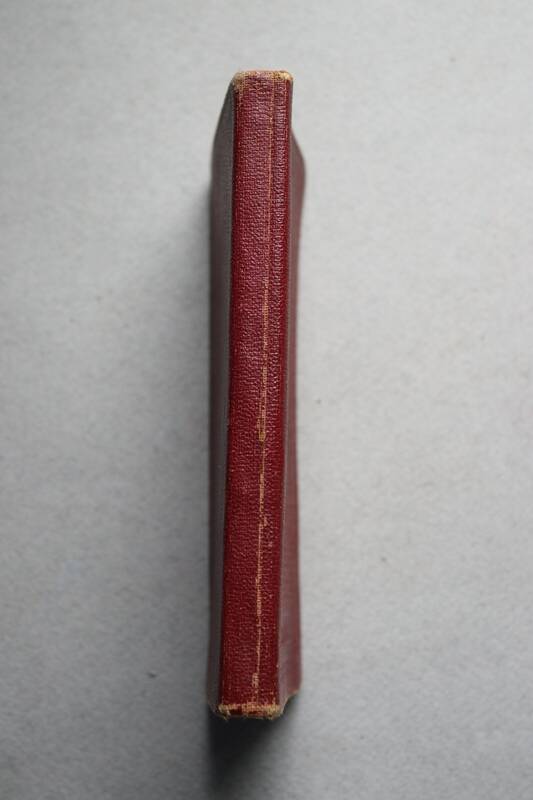 Additionally, there are dark marks on the cover, as seen in the first photo. 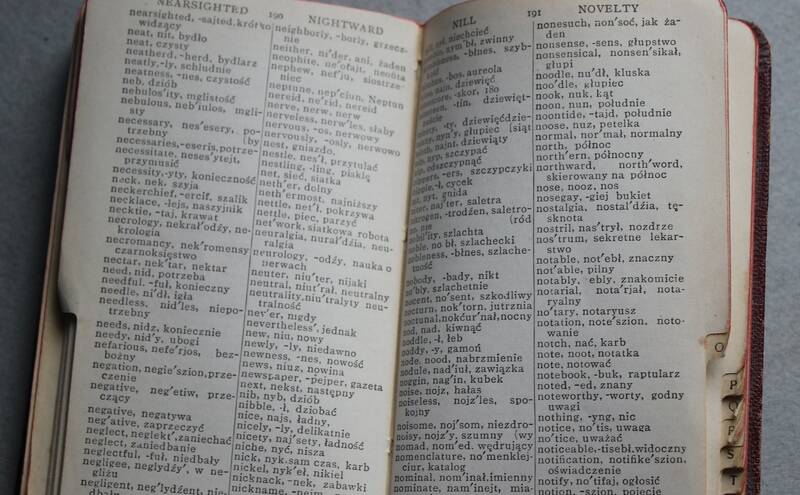 There is a slight musty smell. 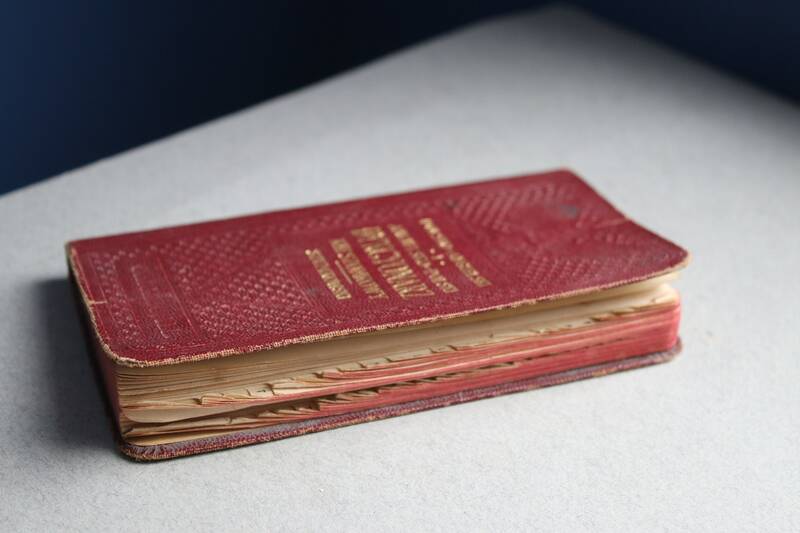 The pages number 255 and are in good condition without rips or tears but do have some creasing and foxing.